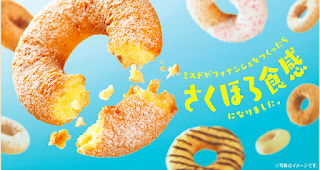 Mister Donut launched Financier Donut on April 25, 2016 and 5 flavors will be available till end of October. 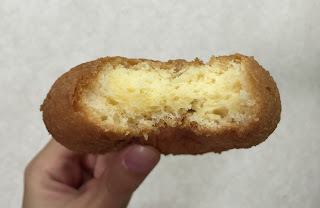 It's lightly crispy and flaky as the dough is made with almond powder and has butter flavor. There're plain, sugar, chocolate, cinnamon and white (that has coated with sugar), and I got a plain. It's a golden brown, round shaped donut. 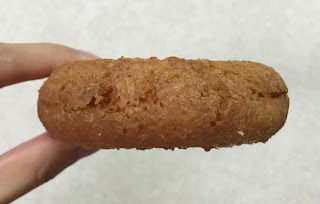 The outside was light and crispy, and the inside was a bit moister than Old Fashion and crumbly. 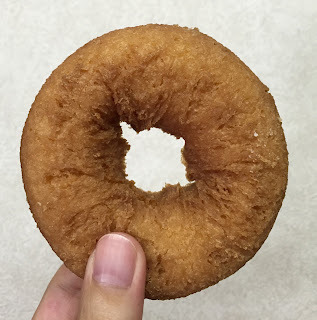 I love Old Fashion so that this donut was a bit too soft but it's lightly sweetened and quite tasty.